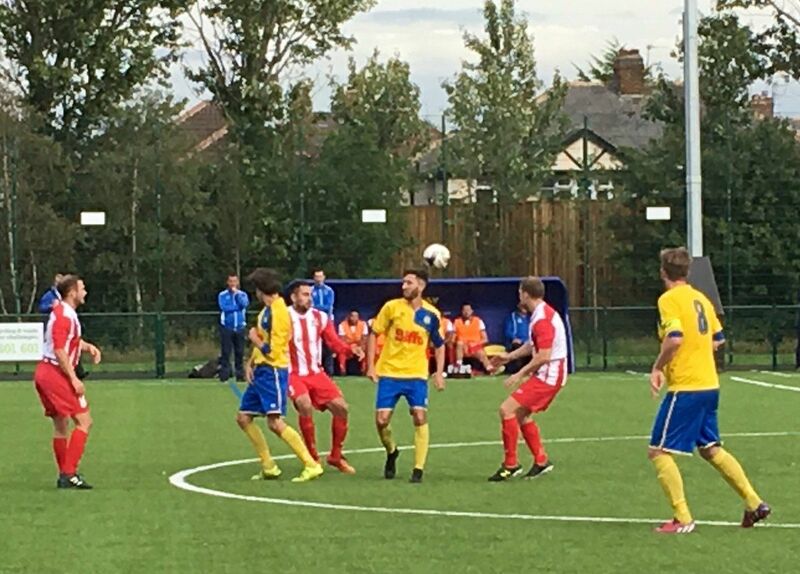 Stockton Town progressed to the 2nd Qualifying Round, with this 2-0 win over Bradford based side Eccleshill United, and now face a trip to Whitley Bay in two weeks. Eccleshill had the first chance of an entertaining game, Luke Harrop chipped the ball over Liam Jordan in the Stockton goal, the ball bounced just wide of the far post. Stockton’s best chance fell to Chris Dunwell, after he raced onto a Joe Scaife Wheatley pass, but Dunwell’s left footed shot sailed over the bar. The next chance came Chris Stockton’s way, he was one on one with the Eccleshill keeper Luke Clifford but he fired straight at the keeper who made a fine save. Eccleshill felt hard done by a penalty claim that wasn’t given and one at the other end that was given. The one that wasn’t given came after 35 minutes, Marcus Edwards raced towards Jordan in Stockton’s goal, he chipped the ball over the advancing keeper the ball going wide of the post, but as this action unfolded both players had collided, Edwards claimed the keeper had fouled him. 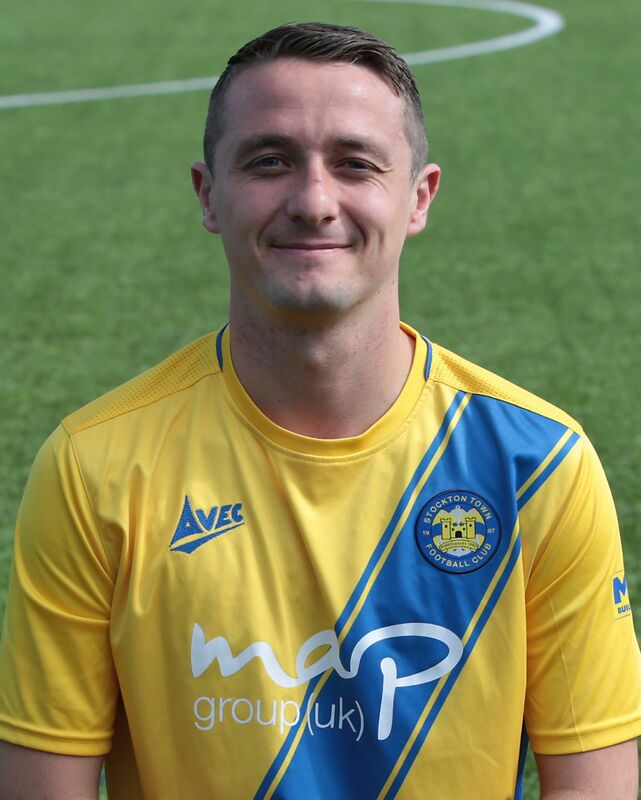 After discussion with his assistant, the referee gave the foul on the edge of the box, much to Eccleshill’s complaints, Edwards took the free kick but Liam Jordan in Stockton’s goal was up to the task diving full length to turn the ball around the post for a corner, a world class save. Then in the 41st minute the referee awarded Stockton a penalty, Chris Stockton raced into the penalty area, chased by two defenders, as the three collided Stockton finished on the ground, the referee pointed to the spot to the anger of the Eccleshill players, after the referee calmed the situation down Kallum Hannah sent Clifford the wrong way to break the deadlock. 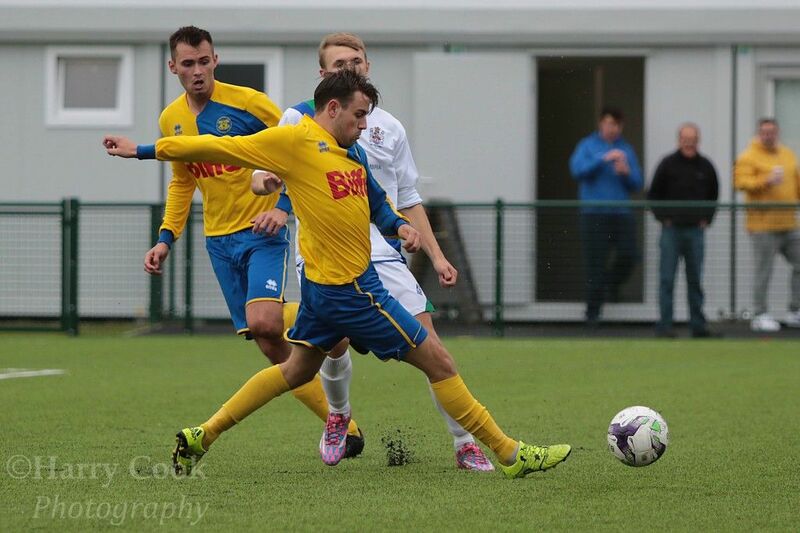 Kallum Hannah scored Stockton’s 1st goal from the penalty spot. The action wasn’t finished there however, Eccleshill could have equalised before the break when Edwards crossed the ball but Harrop headed the ball wide. Stockton started the brightest in the second half, Tony Johnson who had replaced Kallum Hannah fired straight at the keeper, and Fred Woodhouse on for Chris Dunwell fired a shot from outside the area that the keeper just managed to keep hold of, with two Stockton players waiting for any mistake. The second Stockton goal came after 66 minutes was well worth the admission alone, Stockton worked the ball out to left back Dylan McAvoy, his ball into the left channel found Chris Stockton who slid the ball past the right back and then pulled the ball back for the advancing Joe Scaife Wheatley to fire into the empty net. 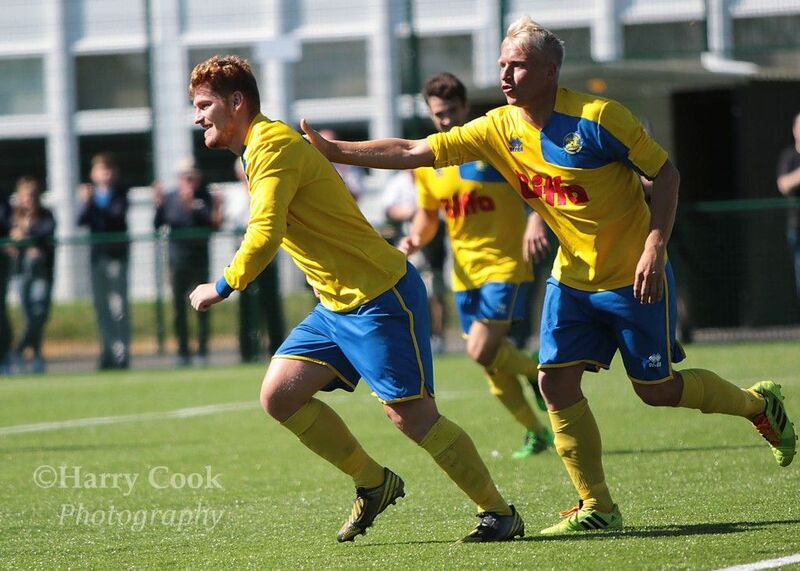 Joe Scaife Wheatley scored a fantastic second to see off Eccleshill United. Stockton were now dominating proceedings in terms of possession and chances and they never looked like losing with Adam Nicholson dominant at the back. It certainly wasn’t Eccleshill’s day when they were looking for a consolation goal, substitute Adam Turner headed past Jordan but the ball struck the post and came back out to Jordan to claw the ball away.